Leicester city signing Ahmed Musa believes he is similar to new team-mate Jamie Vardy.. The Nigeria international joined the Premier League champions from CSKA Moscow in a deal reportedly worth a club-record £16.6million. 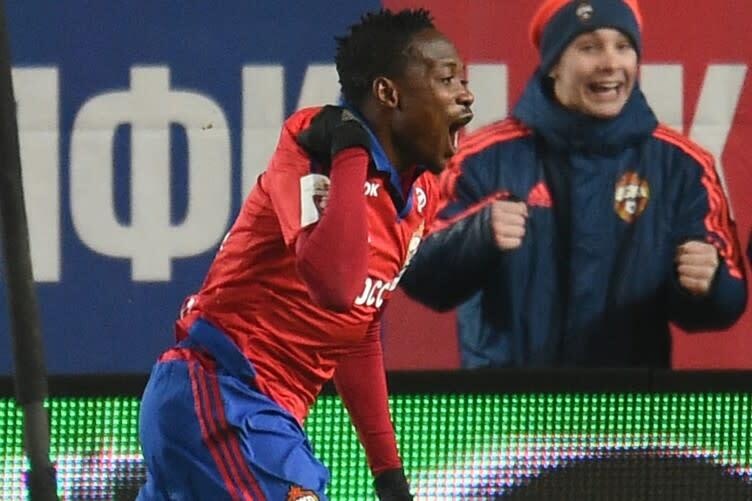 Musa scored 13 league goals in Russia last season and compared his style to that of Vardy, the 2015-16 player of the season after netting 24 times. “I was a goalie between 10 and 12, but changing was the best decision of my life because I would never have been good enough to become a professional goalkeeper,” he said. “But I said: ‘It doesn’t matter what size you are, it’s what you can do that matters. I think I am like Jamie Vardy. I have speed, I like to work hard, we are similar in lots of things. Musa spent time with VVV-Venlo in the Eredivisie before his move to Russia in 2012, shining for CSKA. The 23-year-old said the intensity of training at Leicester had already taken him by surprise. “When I started my first session I was thinking, ‘Wow’,” Musa said. “I have never seen that in Russia but now I am getting used to it the intensity here is quite different to Russia. Here it is a little bit harder, in Russia they are more laid back.